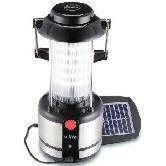 This amazing solar charging lantern is ideal for your camping trips. It is full featured, user friendly, green environmental friendly new product, can be used for camping, emergency power, emergency operations, for your life, work, study, travel convenience. The rechargeable battery can be charged by dynamo, sunlight as well as by AC/mains. The beam distance is about 5 m. It can be charged in six hours using the electricity cable. · Solar Power Charger: Please move to the bottom of the switch to “CHARGE”. Put the lamp in the sun, it will be charged. After charging for 8-10 hours, it can continuing move than 6-8 hours. This Magic Mop is great for any type of floor, spins 360 degrees, pulling messes to the inside of the mop so you’re not just pulling and pushing dirty water around. This super smart mop has more than 8,000 micro fiber strands individually banded for strength, durability, and absorbency. A normal mop has about 30 fringes but this rotating mop has about 600 fringes that ensure perfect cleaning on any surface. They remove hard to remove stains without scratching even the most delicate surfaces like marble and wooden flooring. Electric Roti Maker is an excellent product introduced by Kai German Products, reduces your efforts of making hot chapattis and using this machines now you can make food of many people easily. It is quite easy to use and control, thus is very widely used these days everywhere. This chapatti maker which has an electric tawa makes it very convenient to make very soft and tasty chapattis.